How to share the Aurora camera with others? 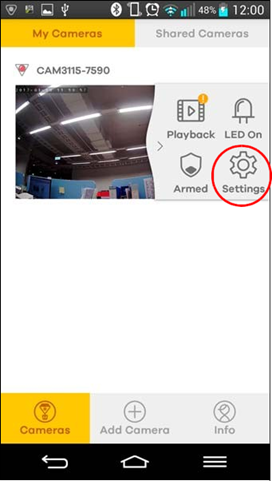 You can not only share a video but also share your Aurora camera with people who have a myZyxelCloud account. They need to download and install the Aurora app on their mobile devices. 1. Tap Cameras then My Cameras. 2. Select your camera from the list and then tap Settings. 3. 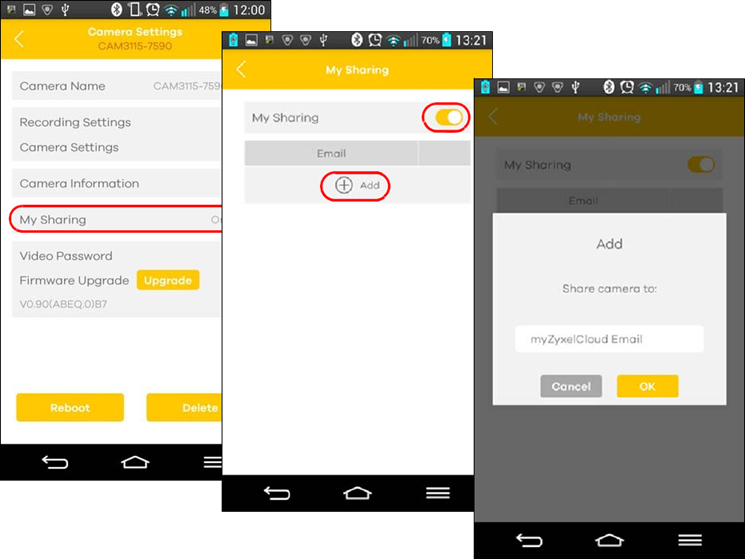 Tap My Sharing, turn on sharing and then tap Add to enter the e-mail address of the myZyxelClound account with whom you want to share your Aurora camera. Note: It’s recommended that people log into the Aurora app with the myZyxelCloud account before you share your Aurora camera.